1. 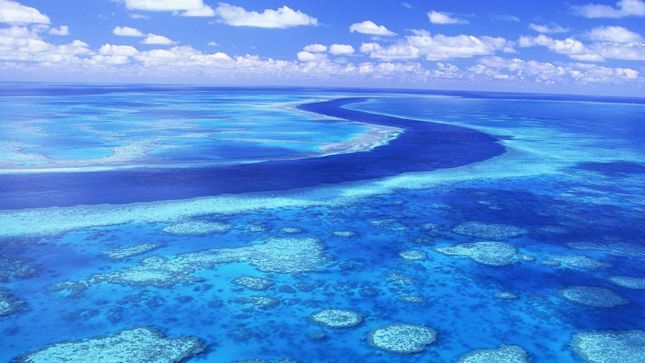 Swim and snorkel at the Great Barrier Reef- really a once in a lifetime experience and as I've never seriously snorkeled before, I think this would probably be an amazing place to start! (although i'm slightly worried about all that deep diving I did as a child and how badly it has damaged my ears). 2. 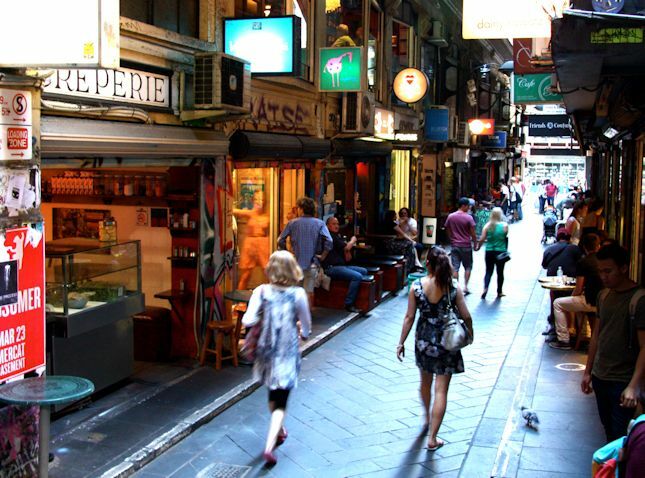 Explore the Melbourne lane ways- exploring boutiques and coffee shops is an ideal way to spend the day in my books! 3. 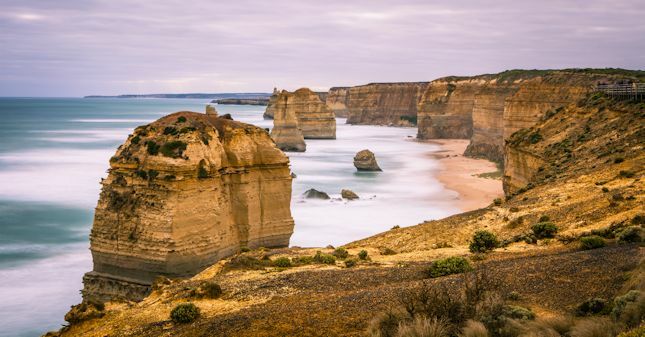 Drive down the Great Ocean Road to see the 12 Apostles- A road trip down the Great Ocean Road and seeing the (now) 8 limestone stacks would make a great couple of days. 4. Attempt to surf at Byron Bay- I've never tried surfing but it has been a lifelong dream to be able to do it (I'm 100% a water baby! 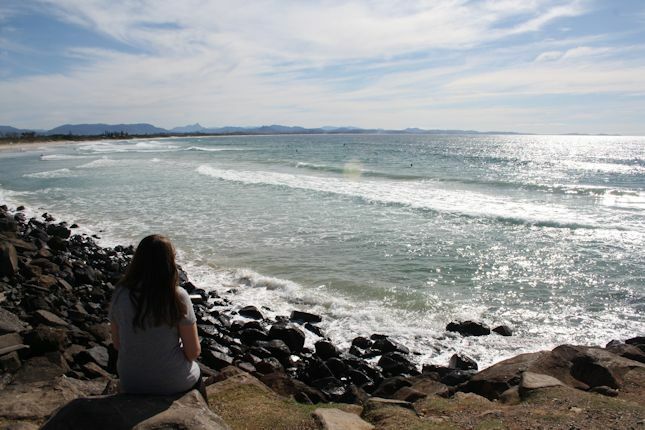 ), and Byron Bay was the perfect setting when we visited a couple of weeks back. I can't wait to go back! 5. 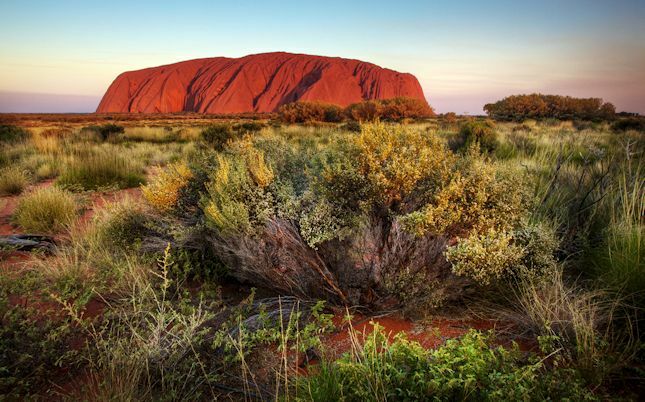 See the sunrise at Uluru/Ayers Rock- probably one of the most iconic Australian settings, seeing the rock formation at sunrise would be beautiful- and as M is into rocks, I'm pretty sure he'd be keen. 6. 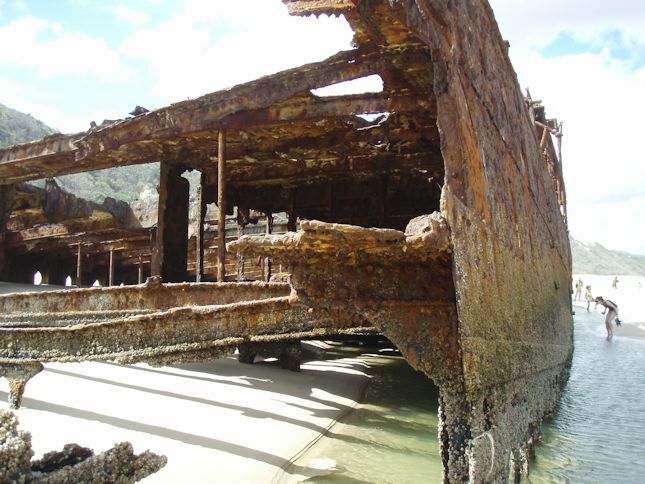 Visit the world's largest sand island at Fraser Island and see a real shipwreck- also known to be a keen dolphin visiting spot, I think it would be amazing here! Dolphins have been a firm favorite animal since growing up, so to see them in the wild would be a dream. 7. 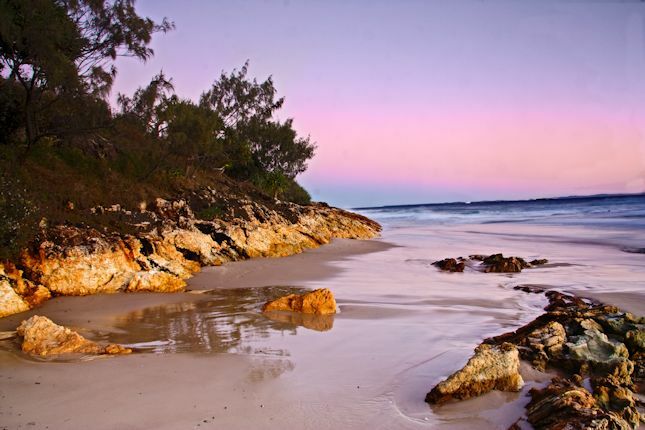 Drive over to North Stradbroke Island- living in Brisbane means being only a short drive away to this island that boasts clear blue waters perfect for a little weekend getaway from the city. 8. 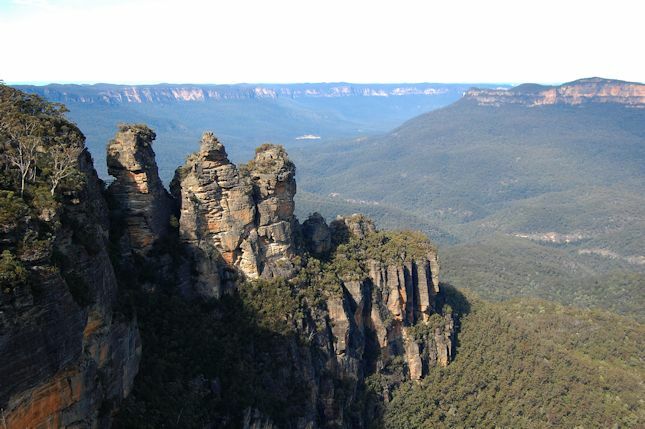 Drive up to the Blue Mountains in NSW- the characteristic blue haze is caused by eucalyptus trees surrounding the area emitting chemicals, giving it such a beautiful blue tinge to the landscape. A road trip up here is definitely on the cards! 9. 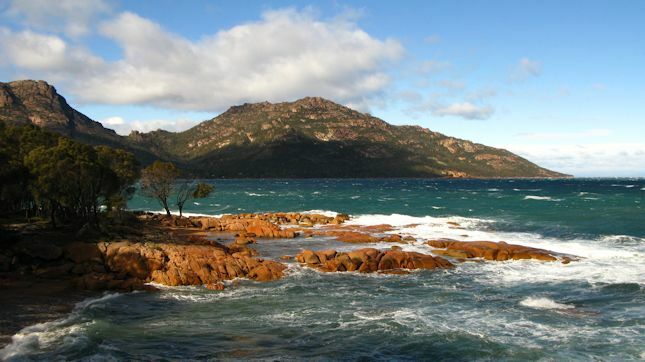 Kayak at Freycinet National Park- although I've been here already, I was really ill so remember nothing- we made a quick dash back to Hobart via the hospital! Me and M love kayaking and it would be amazing to go back here and do that. 10. 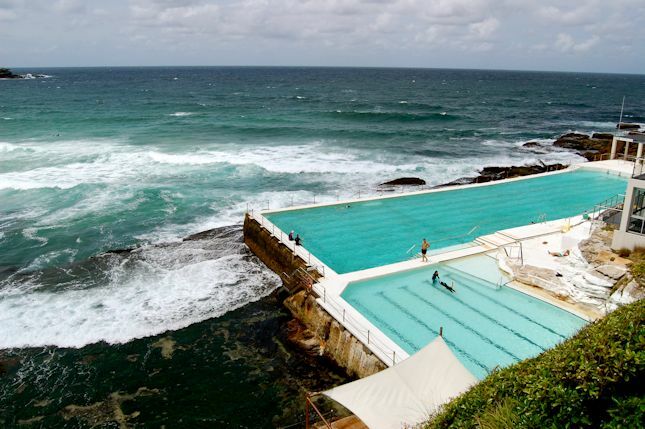 Swim in Bondi Icebergs Club pool- this pool is all over Pinterest, and for good reason! And upon doing a little research, it only costs $6.50! Whenever we eventually head to Sydney, this will definitely be on the top of my to do list! I keep looking at this photo and can't fathom how amazing it would be to have a daily swim here. What is on your to do list in Australia? Do you recommend anything I haven't got on my list? I've crossed off 4 of your items and they were fabulous (the first three plus straddie). I wouldn't worry about your ears for snorkeling since you aren't submerged. It's amazing and you will LOVE it. On my list is seeing the pink lakes but apparently it's not easy to get here 😌. I would add exploring south Australia's wine country to your list. That is one of my favorite trips we've done! All of these things would be firmly on my to-do list as well! I'm hoping Dan and I will making it over to Australia once we finish with university, so in the mean time I will just live through your travels ;). So jealous! That's true about snorkeling- sounds prefect really! I'm just worried I'll want to start diving afterwards haha. I've seen some photos of the Pink Lakes on Pinterest and it looks amazing! Will have to add wine tasting to the list.. definitely can't go wrong with that! Great list! I would definitely recommend snorkeling in the Great Barrier Reef; that's been my favorite thing so far in Australia. I also really want to make it to Ayers Rock but it's so hard/expensive to get to!